Lutz Rode, known from the German band Pickers, has recently started working solo. Check out his german tune ‘USA’ right here, as well as his collaboration with producer & DJ Pedro, ‘Do You Remember’. His new undertaking is a joint project with Pedro, a DJ from Berlin. We wanted to know more about his motive to make this decision. “I wanted to do something independent and different, something that is completely isolated from Pickers. Everything I had ever written or produced up to this point belonged to the band Pickers, and I wanted to create something that had absolutely nothing to do with it. Something that is detached from my old work, concerning the style as well as the label. Originally it was all about producing a few of Lutz’ songs. But while they were working on them, a second cooperation came into existence. The DJ had a few raw original tracks, Lutz wrote the lyrics, and that’s how they started a new simultaneous project. On the one hand Pedro is producing Lutz’ songs, on the other hand the two of them are creating new songs together. At the moment they are producing an English single as well as a German one. “The two of them are quite different. The German one still sounds a lot like Pickers, obviously, since I wrote the songs for Pickers. The project with Pedro is completely different, it’s not even the kind of music I would necessarily listen to at home. Yet I don’t feel like I’m selling myself. I think pop music is the best sort of music. Personally, I don’t care whether it’s played on an electric guitar or a synthesizer or a piano with an orchestra. A good song is a good song. That’s exactly what I was trying to create with Pickers. The sound was different, but it’s still the same concept. It’s still pop music. I’m not trying to create something incredibly artsy or high-class, nothing particularly deep or ambivalent. I just want to make music that’s easy to listen to. Lutz Rode is not only working on two different projects simultaneously, he’s using two different languages as well. “I prefer German when it’s about the language and the content. It feels less shallow to me. If it’s just about the sound, English has obviously got an advantage. It just sounds beautiful. To use English is almost like using another instrument, it sounds more fluent. German sounds very hard and clipped. But if you want to make something clear, German is a bit more direct and insistent. 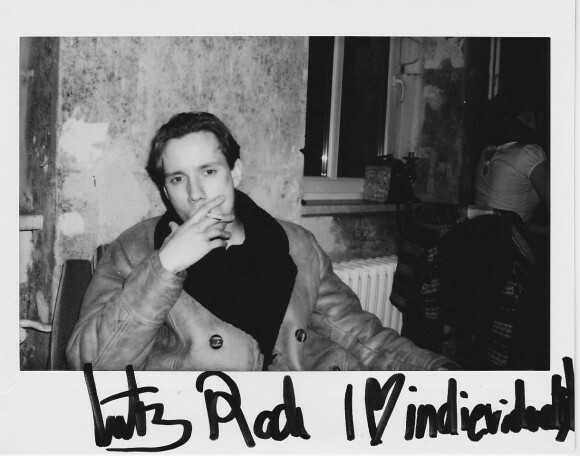 The German EP produced by Pedro is the centre of Lutz Rode’s solo project. They have already shot a music video for the first single which will be released in March. By contrast, the English songs that have come about with Pedro were rather created by coincidence. Many thanks to Lutz for the interview! We are very excited to find out what is expecting us. One thing’s for sure – we’re going to hear a lot more from Lutz Rode.